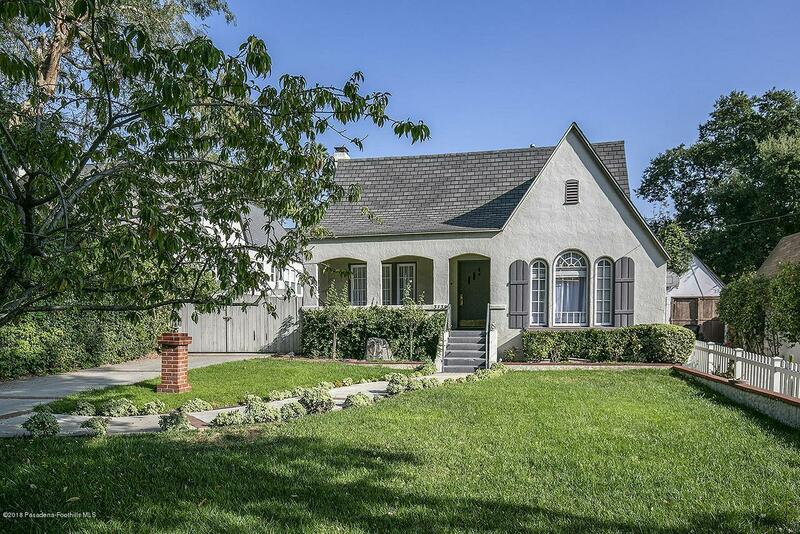 Lovely Altadena cottage designed by E.P. 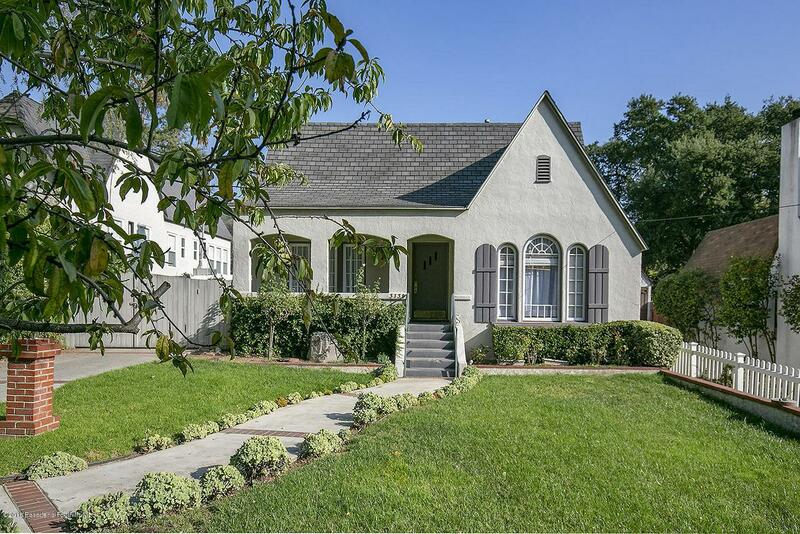 Janes boasts tons of curb appeal with winding brick-ribbon entrance walkway, arched wood windows and a shaded sitting porch overlooking the grassy front yard and leafy tree-lined street. Character details are everywhere including hardwood floors, coved ceilings, arched doorways, French doors and artisan enhanced wood-burning fireplace with gas starter. Large living-room adjoins 4th bedroom/den with garden views. Formal dining room is spacious with arched entry. Galley kitchen offers Caesarstone counter tops, glass-faced cabinetry, and sweet garden window plus adjacent built-in buffet and serving bar and inside laundry closet. Owner's suite is in the rear with back yard views and remodeled en-suite bath. Fruit trees and spacious patio just outside the back door. Detached 2 car garage offers storage loft. Newer HVAC, upgraded electrical panel and additional updates. Sold by Ryan Judd BRE#01315387 of Compass.